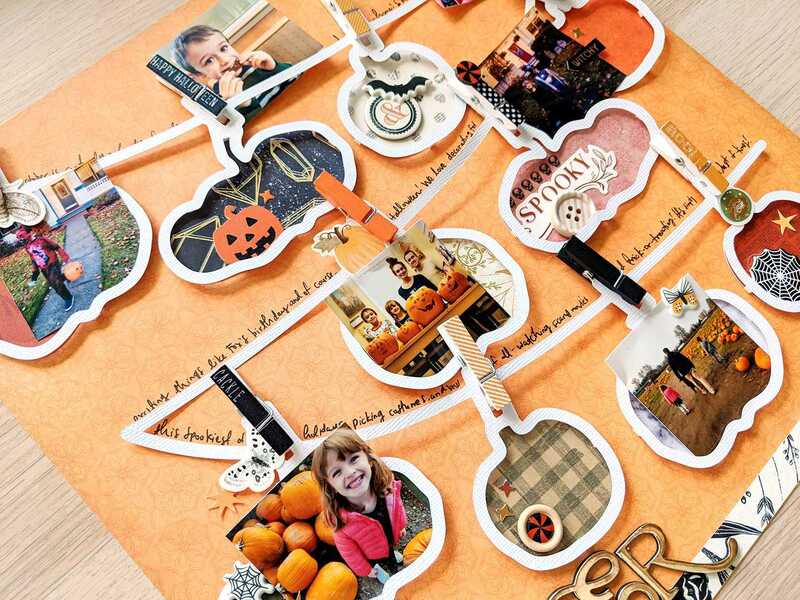 Document your spooktacular October adventures on a bewitching layout featuring lots of photos scattered over a pumpkin banner design! 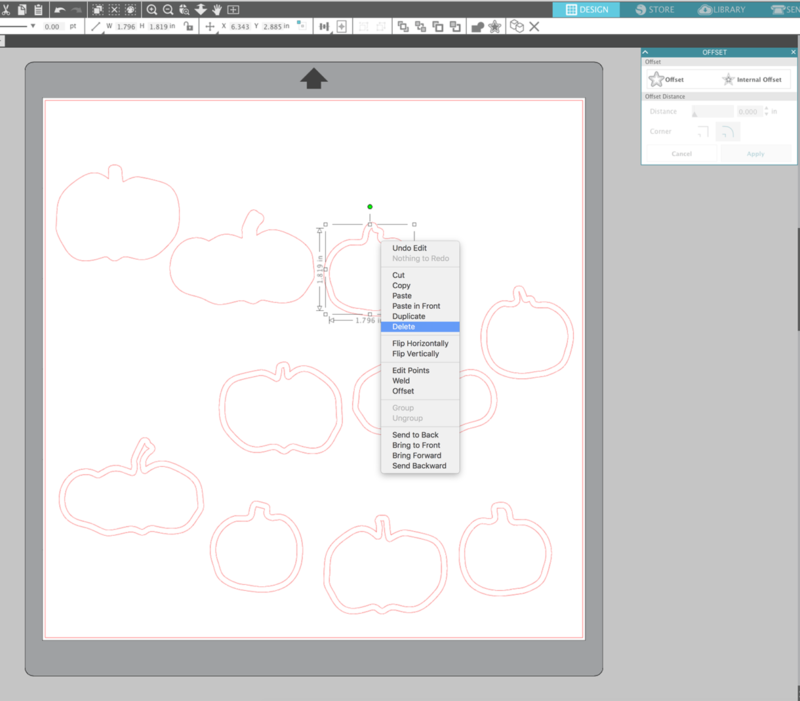 Take a look at the tutorial below to get some ideas on how you can create your own! 1. 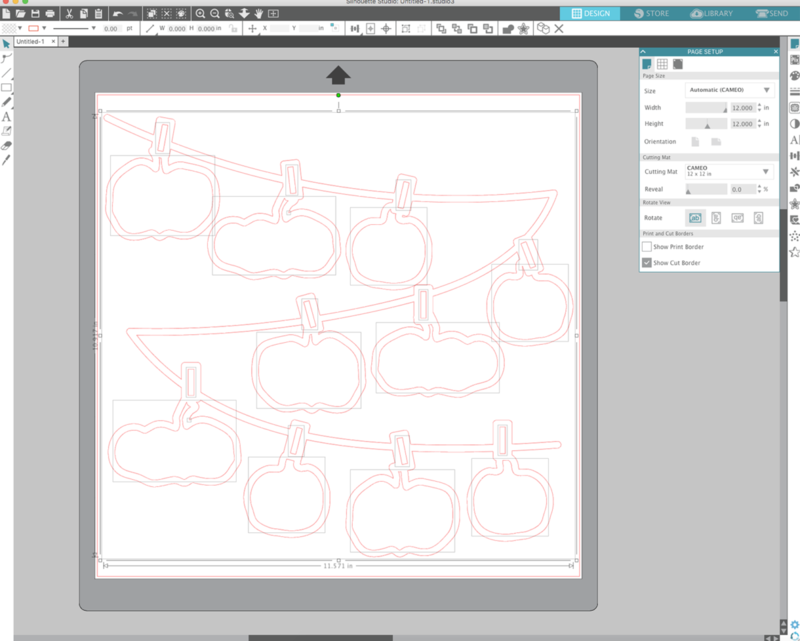 Open the Pumpkin Banner design in Silhouette Studio®. Size it as desired. 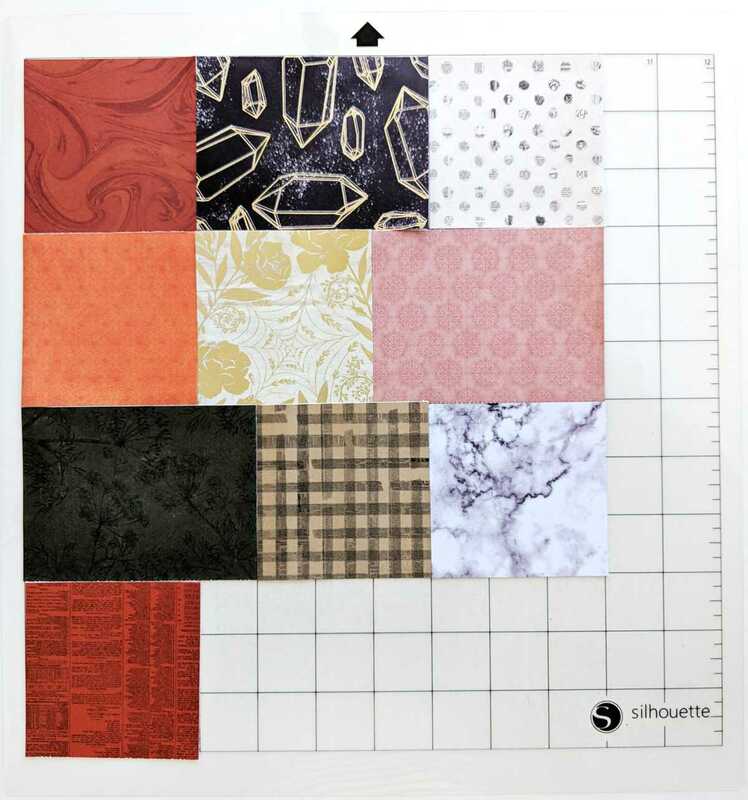 I left it as-is, and it nearly fits the entire 12 x 12 format (it’s 11.571 x 10.917 inches). 2. 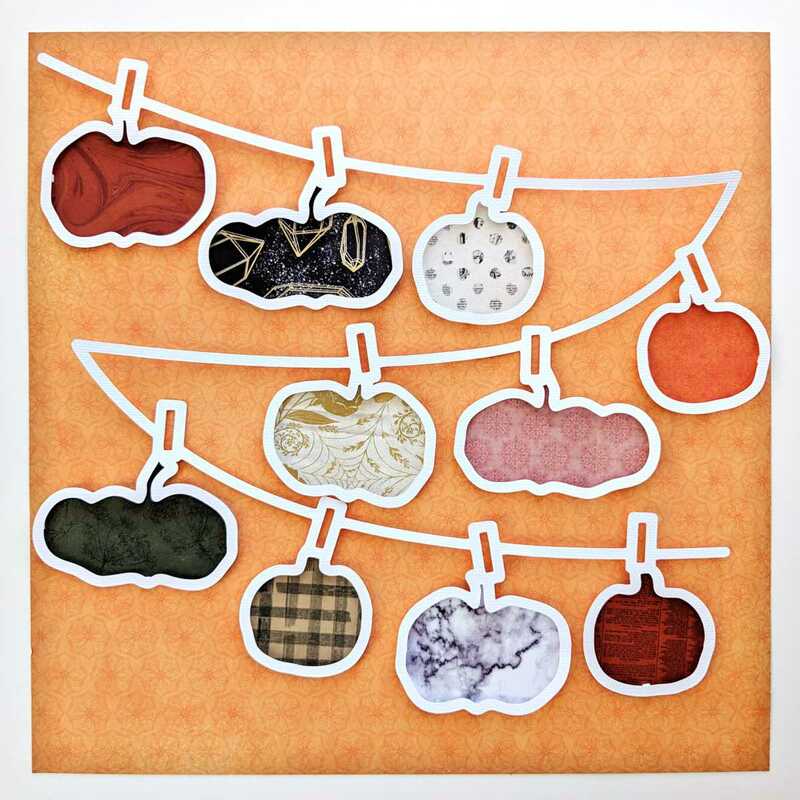 Cut the design from white textured cardstock. 1. 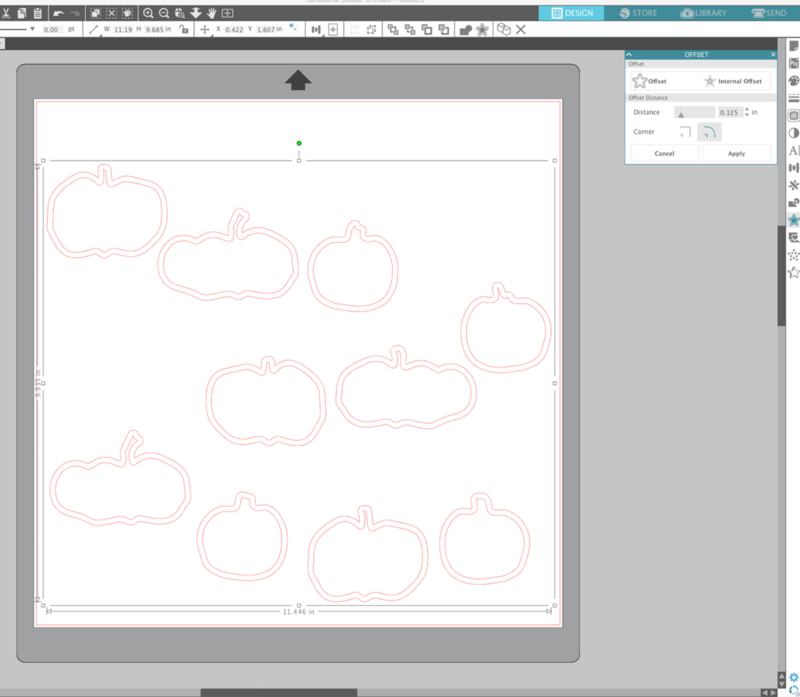 To easily make the pieces for the back of the pumpkins, first right-click and then select Release Compound Path. 2. Releasing the compound path will turn the design into individual shapes. 3. 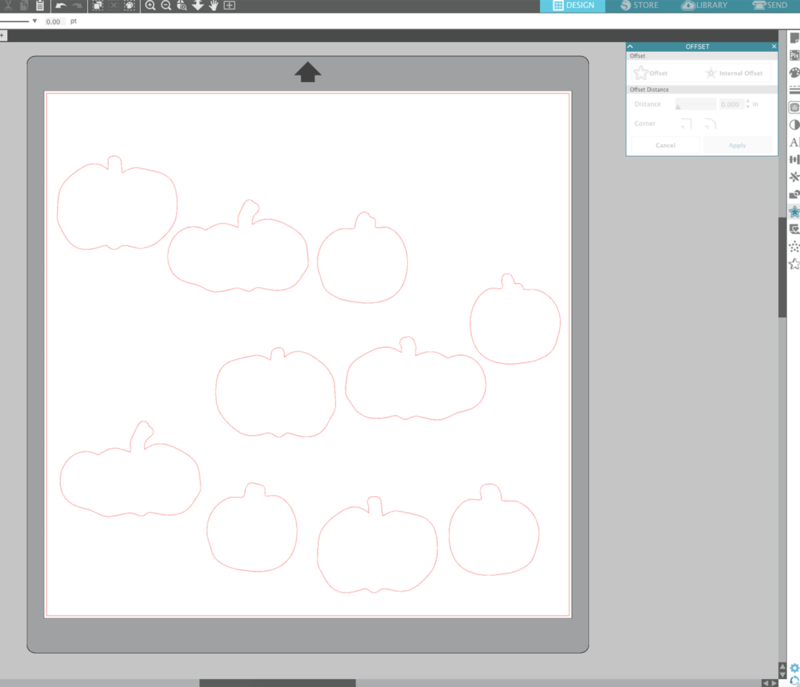 Delete everything except the inner pumpkin pieces. 5. 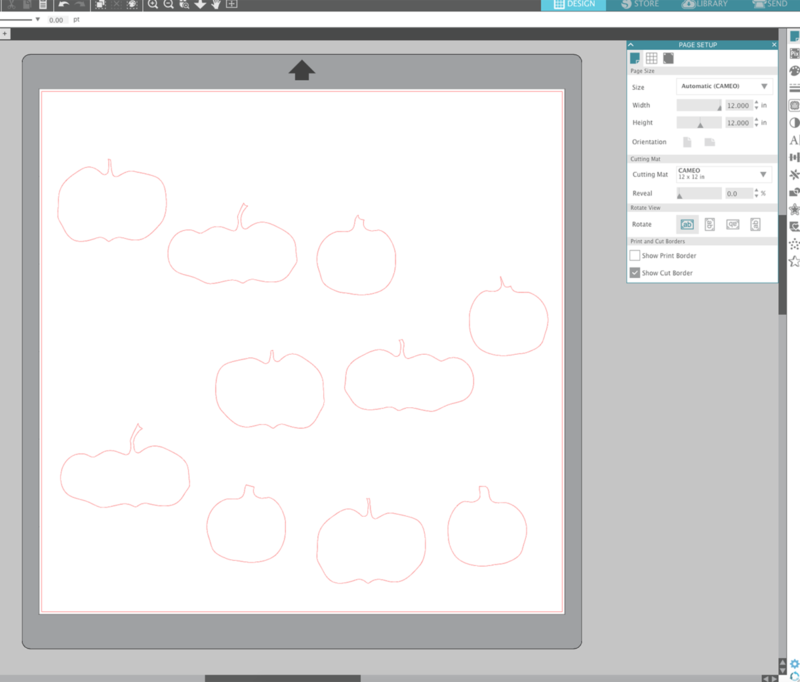 Delete the inner pumpkins. 6. 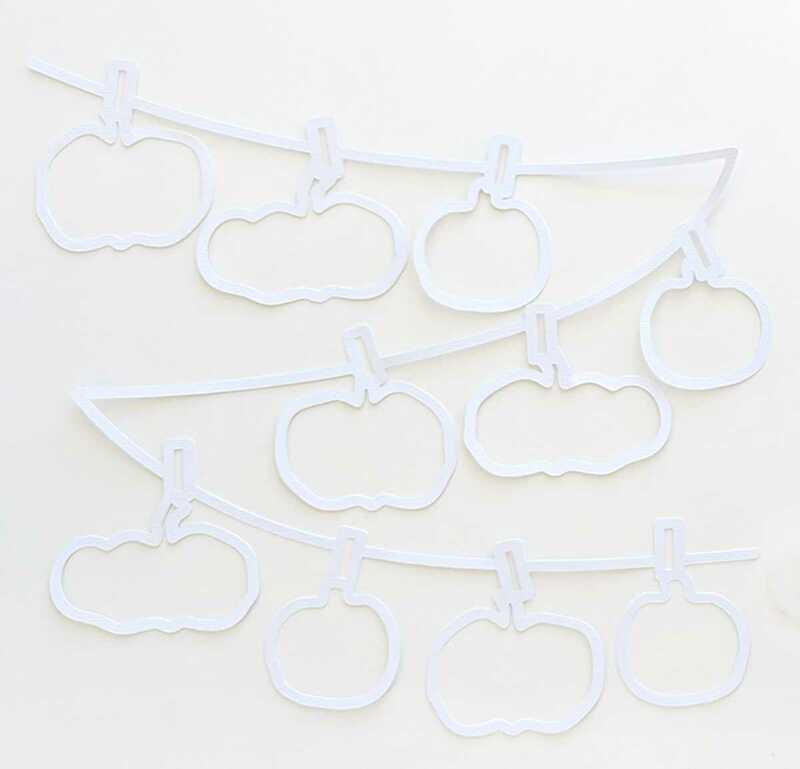 You are now left with the offset pumpkins, perfect to use for the backing of the original pumpkins! 7. 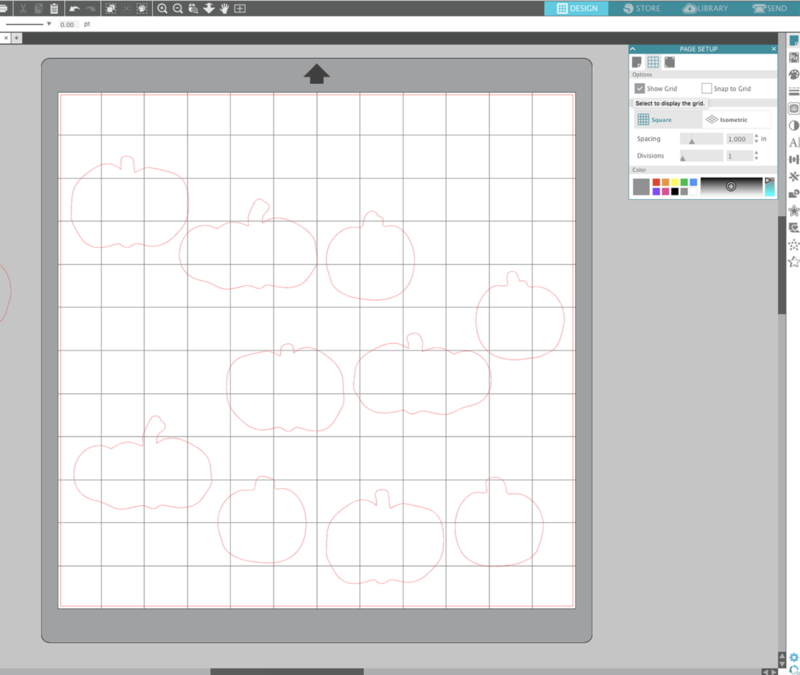 Open the Page Setup panel and click “Show Grid” spaced 1-inch apart with 1 division. 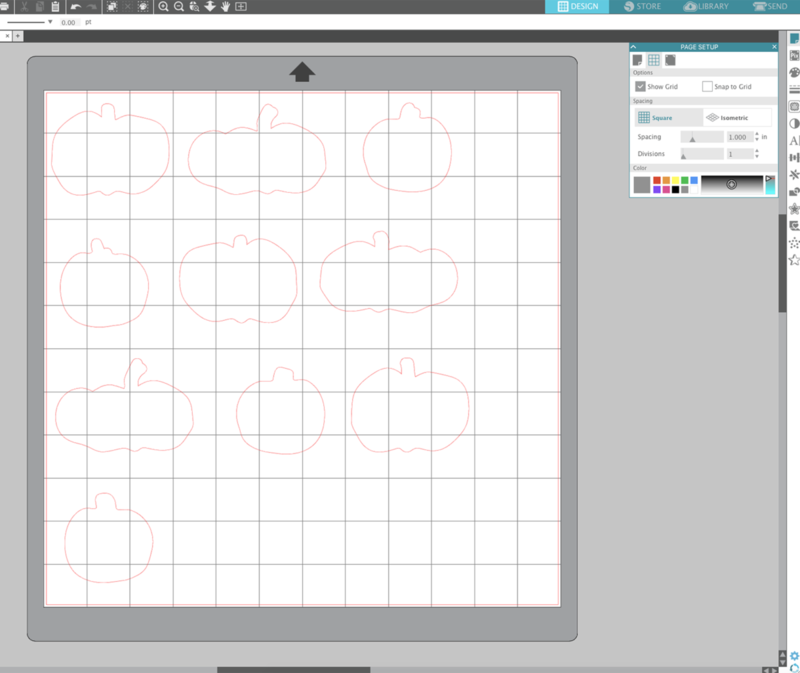 This perfectly mirrors the lines that are shown on the Silhouette cutting mats. 8. 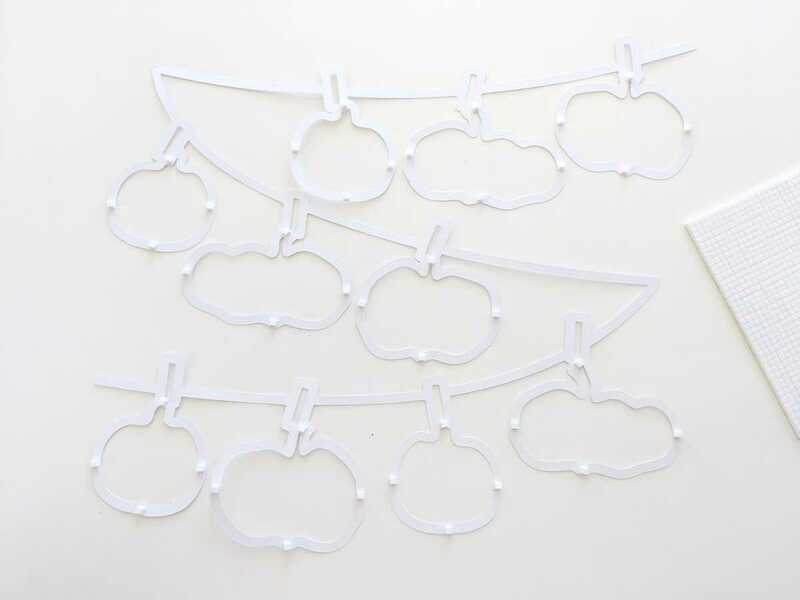 Arrange the pumpkins to fit in 3-inch-by-3-inch and 4-inch-by-3-inch sections. 9. 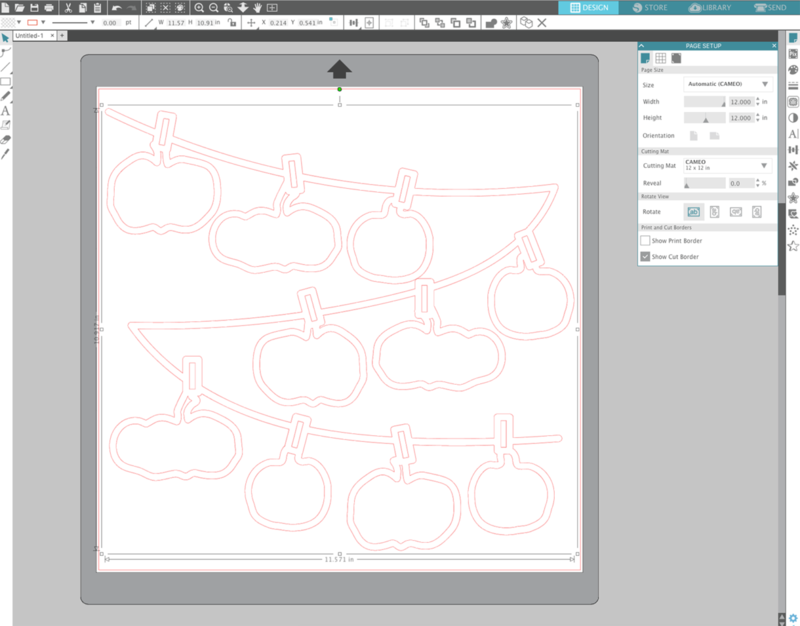 Trim patterned papers to 3 x 3 and 4 x 3 pieces and adhere them onto a Silhouette cutting mat to mirror the placement of the pumpkins in Silhouette Studio®. 10. 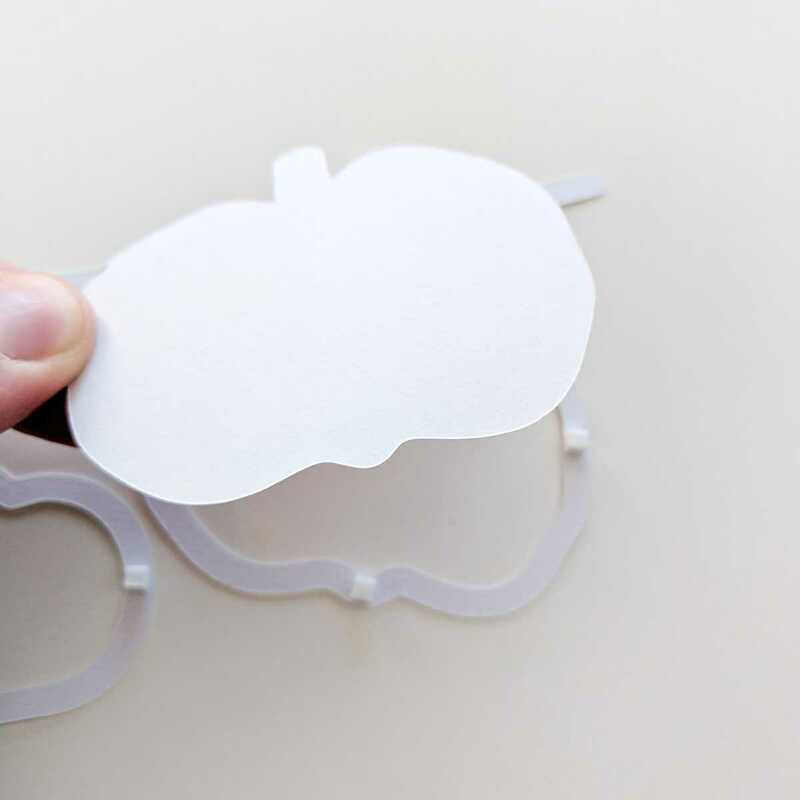 Send the design to be cut from patterned papers and carefully peel them off the mat when finished. 1. 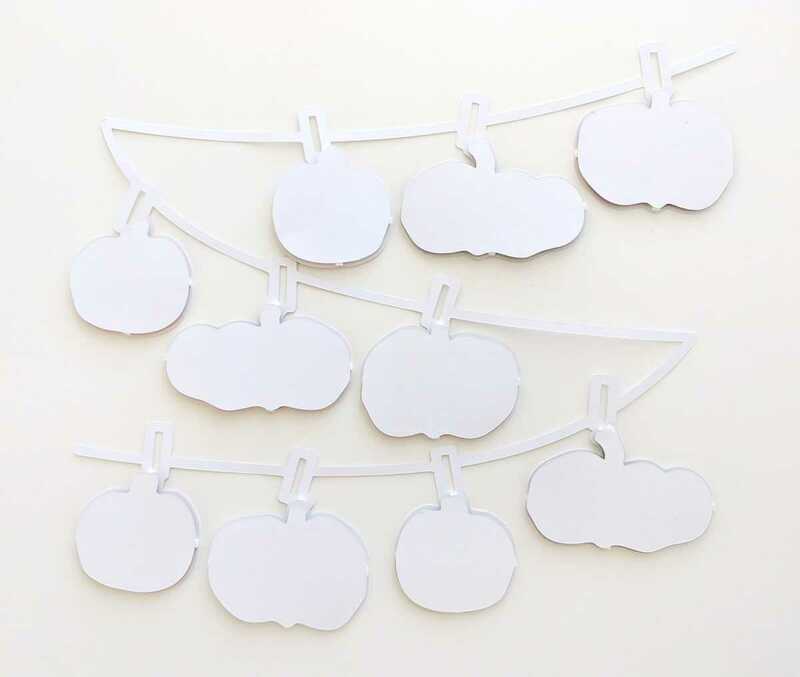 Flip the Pumpkin Banner design over and place tiny foam squares on the back of each pumpkin. 2. 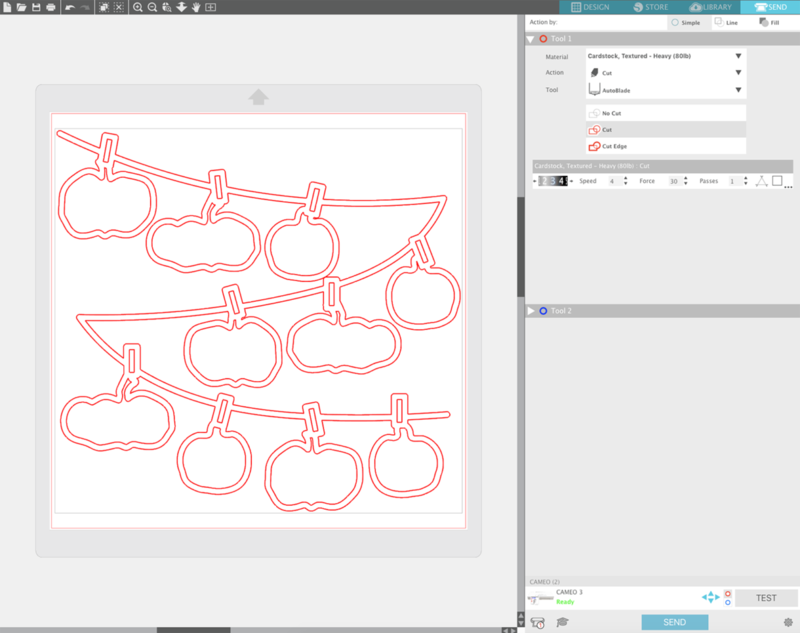 Place each patterned paper pumpkin, pattern side down, on the Pumpkin Banner pumpkins. 3. 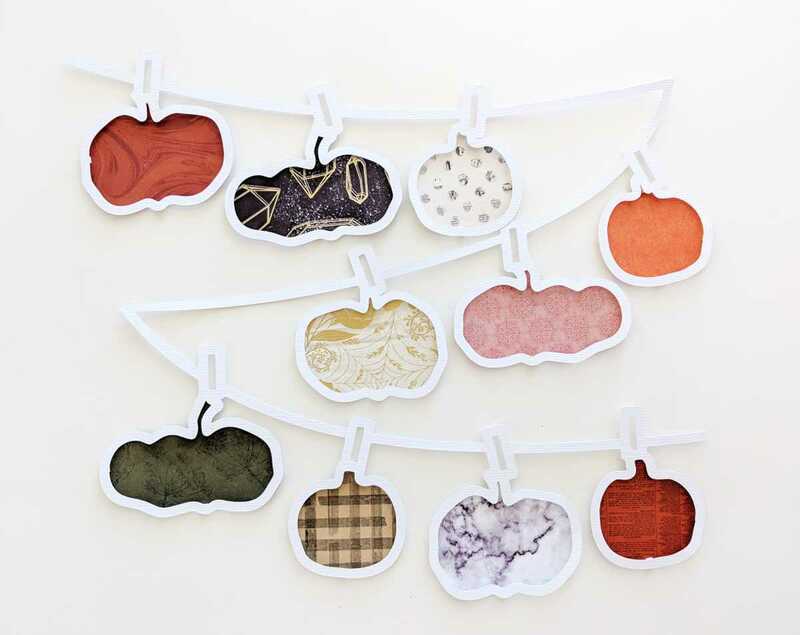 Flip the Pumpkin Banner over and admire your cool design! 4. 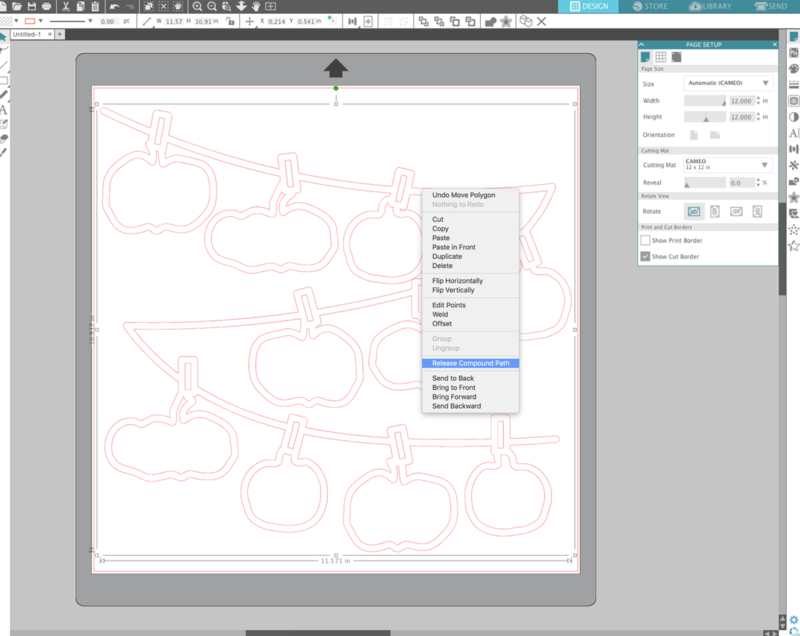 Select a patterned paper background and then center the banner and adhere it on top of the background. 5. 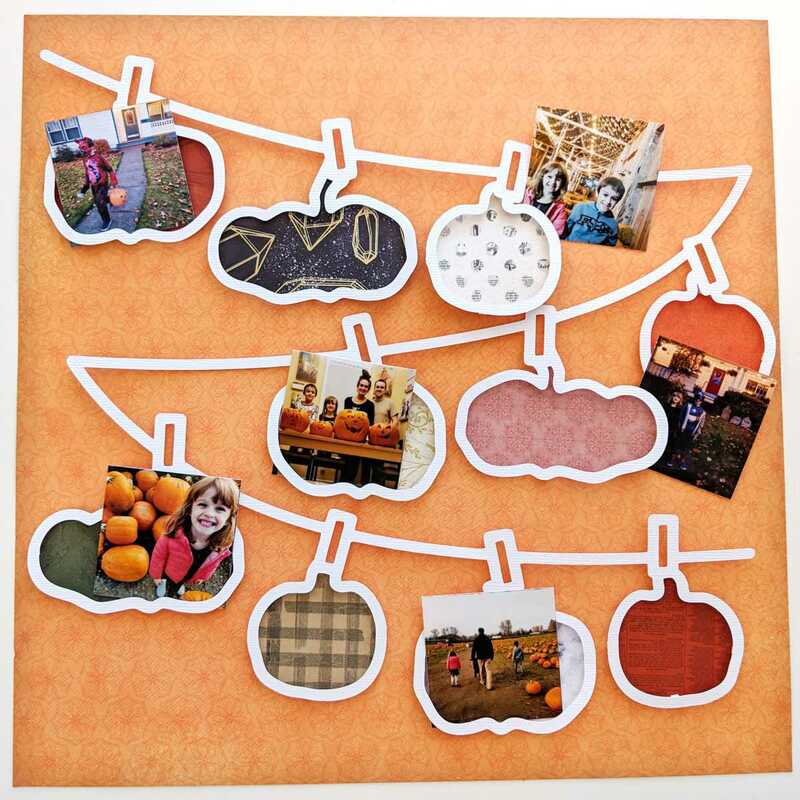 Choose several 2-inch square photos and tuck them in and around the banner. 6. 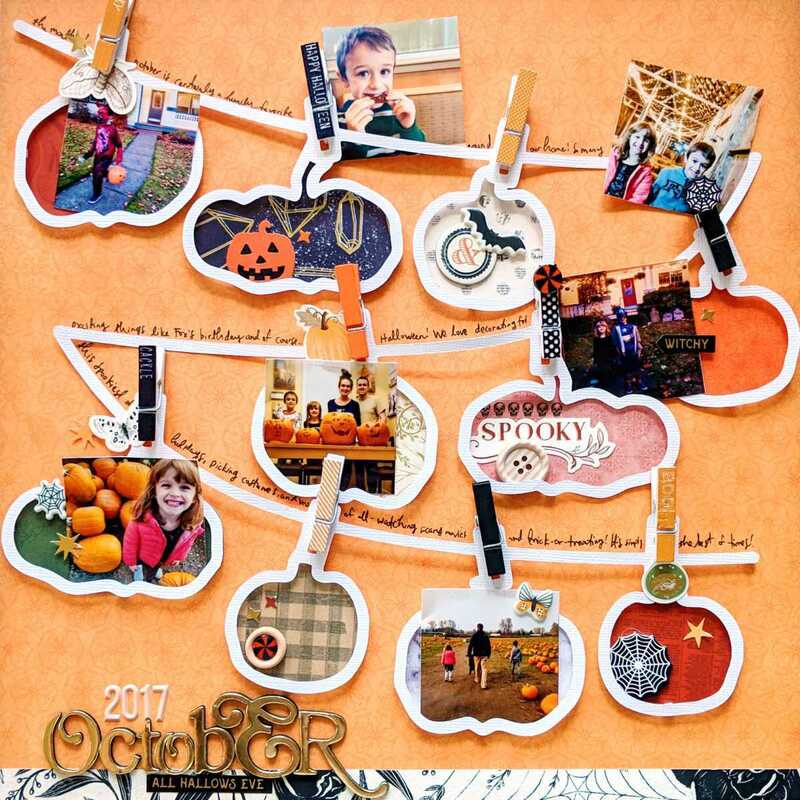 Finish embellishing the page with all things Halloween—tiny wooden clothespins attached over the cut file clothes pins, printed buttons, stickers, a title, hand-written journaling, and more, as shown, until you are happy with the results! 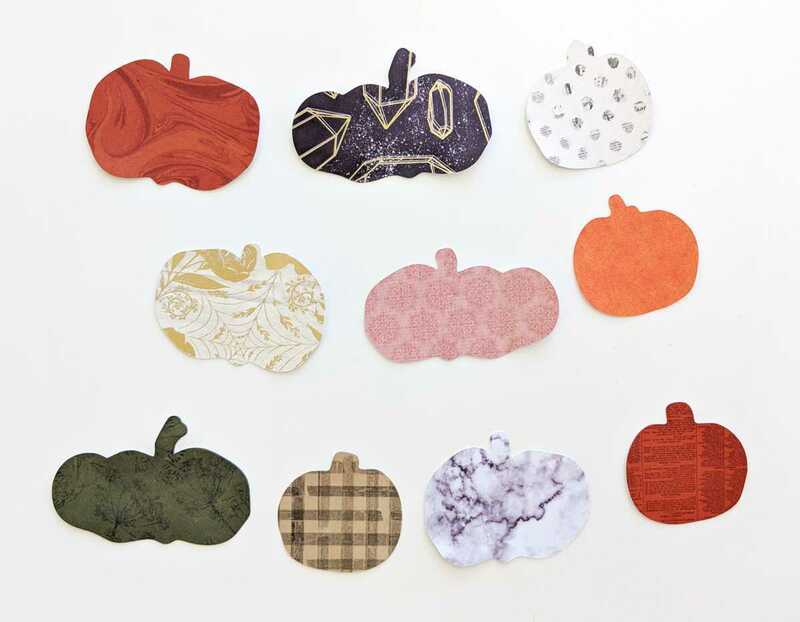 By limiting your color palette and sticking the pieces on top of the banner you can create a festive page highlighting favorite moments in October in no time!